No jacket at the office? If your dress code is casual, all anyone sees is your SHIRT. 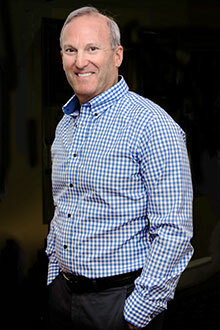 If you pride yourself on your appearance, a great fitting shirt is the finishing touch. 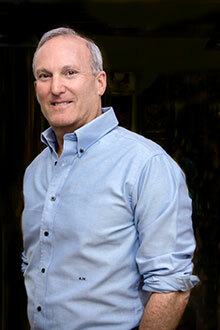 Men’s made to measure casual shirts can be made to fit your body AND your budget. Collars and cuffs can be edge stitch or traditional quarter inch. Choice of collar, cuff, and monogram options. Optional body back darts for snugger fit. Contrast color inside collar and cuffs can be added. Patterns and colors can be mixed on the same shirt, for a casual shirt unlike any other! Fabrics include today's fashion dark shades and bold stripes, as well as high count Egyptian cotton, Sea Isle cottons, and Linens from Europe's finest mills. Over 500 fabrics are available for your review. PLEASE NOTE: For Business Casual orders, there is just a two-shirt minimum. Men's made to measure shirts begin at $165 and range to $450 for two-ply 240's, available with Mother-of-Pearl buttons and featuring the world's most luxurious fabrics. Do you wear your shirts outside your trousers? This new Urban Style can be shaped to make your own fashion statement. “Everything old is new again.” ...The Neckband Shirt is the Millennial’s new sport look, and can be worn with or without a jacket. 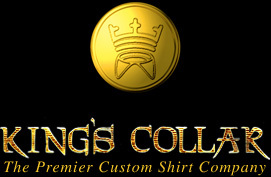 ...Whether you need shirts for proper fit or just for fashion; Custom Shirts are the answer! 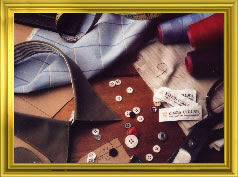 Orders are based on a four shirt minimum for Business Dress, with your choice of any style or fabric. 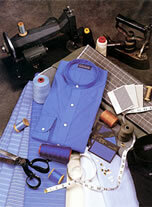 For Business Dress orders of less than four shirts, there is a $50 cutting fee added. "He took out a pile of shirts and began throwing them, one by one, before us, shirts of sheer linen and thick silk and fine flannel, which lost their folds as they fell and covered the table in many-colored disarray. While we admired he brought more and the soft rich heap mounted higher—shirts with stripes and scrolls and plaids in coral and apple-green and lavender and faint orange, and monograms of Indian blue. Suddenly, with a strained sound, Daisy bent her head into the shirts and began to cry stormily.